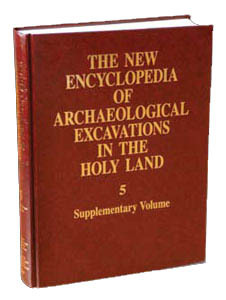 In the seventeen years since the publication of the first four volumes of this encyclopedia, the steadily expanding pace and range of archaeological investigation of the Holy Land and adjacent areas has produced significant new data on the ancient sites, history, social evolution, and material culture of the region—and thereby necessitated the present updated addition to the original four-volume work. This volume contains both new and revised site entries, reflecting not only the increase in archaeological knowledge, but also the intensification of multidisciplinary collaboration between archaeologists, historians, environmental scientists, information technologists, and archaeometric specialists in recent years. Indeed, since the 1970s, as the number of excavated and carefully documented sites has dramatically increased, more precise laboratory analyses and dating methods, along with the increasing use of cross-cultural comparisons and anthropological models, have further transformed the scope and nature of archaeological work in the Holy Land. Volume 5 of the New Encyclopedia of Archaeological Excavations in the Holy Land is intended to provide scholars, students, and general readers with an authoritative and up-to-date compilation of the new information and the new approaches to and interpretations of the material finds.